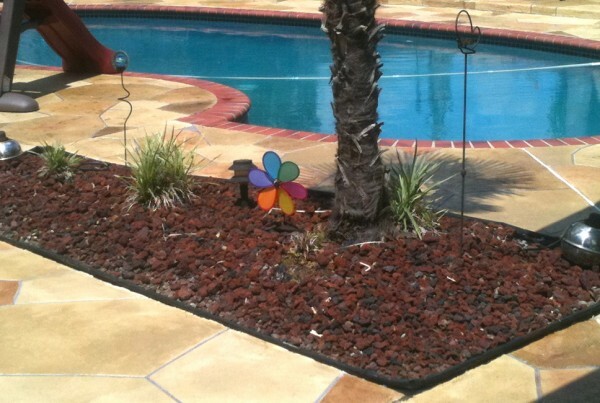 After a good pressure washing, this old pool deck is given some life by troweling a stone textured overlay. The random stone pattern was hand taped. Each individual stone was also hand stained several different colors to achieve depth and variation. A system like this can take anywhere from 3-5 days to complete.